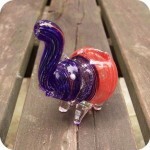 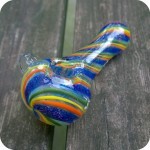 The Galaxy Twist glass pipe is one of our most noticeably heavy and eye catching glass pieces. 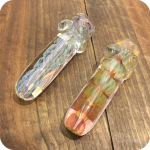 Thickly double blown, the feel of this 4.25” glass piece in your hand is very pleasing, and you’ll know instantly this 99.4 gram piece could withstand a fall or any impact. 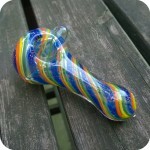 Stripes of orange, yellow, green, and a thick stripe of blue dichroic glass swirl around the pipe and come to a beautiful termination on the front. 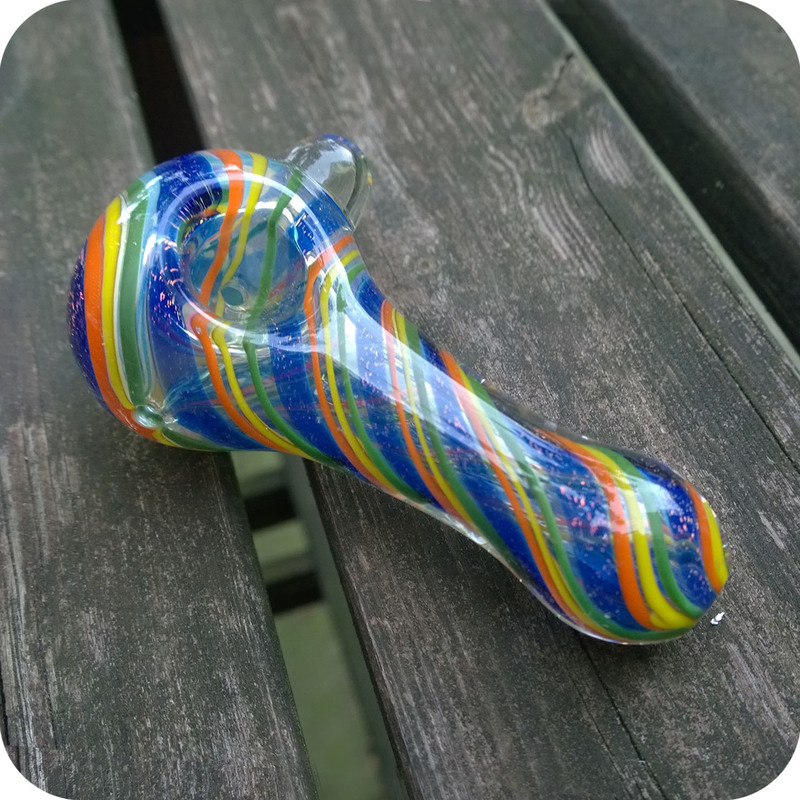 This design is on top of a silver fumed background that will become more noticeable with use, turning from a slight yellowish tint to varying shades of blue. On the right side of the bowl, opposite the carburetor, is a large clear glass orb that magnifies the stripes underneath and gives the smoker a better grip on this ultrasmooth piece of glass. 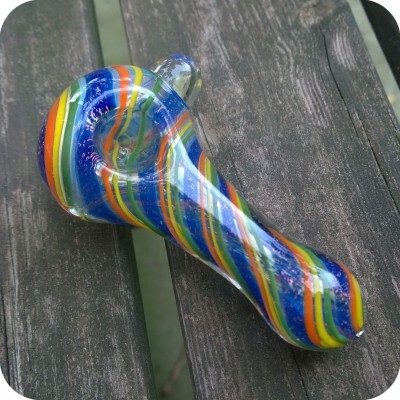 Although the bottom is flattened slightly, it will be this helpful orb that prevents the pipe from rolling over and spilling your smoking herbs. 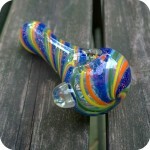 The dichroic rainbow color scheme is what people first notice, and the large size and weight is what they stick with. 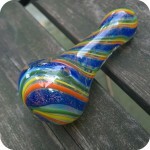 A great piece for on the go, it will be secure in your back without a second thought. 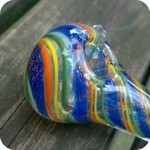 The best of both worlds, and the biggest bang for your buck – to infinity and beyond!